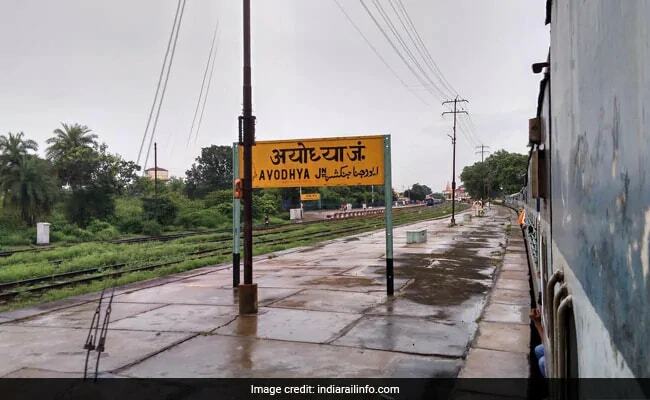 A mediation committee is consulting all stakeholders on Ayodhya. The construction of a Ram temple at Ayodhya, which had become hot button issue ahead of elections, has found mention towards the end of the BJP manifesto that was unveiled in Delhi today. On the issue of temple construction, the manifesto read: "We reiterate our stand on Ram Mandir. We will explore all possibilities within the framework of the Constitution and all necessary efforts to facilitate the expeditious construction of the Ram Temple in Ayodhya". In March, following an order of the Supreme Court -- where the title suit of the Ram Janambhoomi case was pending -- a mediation committee is consulting all stakeholders to arrive at an amicable solution. They have eight weeks to arrive at a decision. Ahead of the elections, the government was under pressure from a section of allies and BJP leaders to expedite construction at the site. Allies like the Shiv Sena had alleged that the BJP uses the temple construction only as a ploy during election time. There were repeated demands that the government bypass the legal process through an ordinance or executive order, so the temple construction could begin. In his New Year interview, Prime Minister Narendra Modi, however, said no decision could be made on the issue until the judicial process is over. But later that month, in a move big on optics, the government asked the Supreme Court's permission to hand over the land near the disputed site to the Ram Janmabhoomi Nyas, the trust overseeing the Ram temple plan. The 2.77-acre disputed site is surrounded by 67 acres of land that was acquired by the government a year after Babri masjid was demolished.